The Comptons will oversee and provide accountability for the Safina child sponsorship program in Tanzania. They will also strive to build up the children’s ministry of the Tanzanian church through the venues of the Safina village committees, Aldersgate Education Center, and Tanzanian Church of God congregations. Scott was raised in Sugarcreek, Ohio, born into a family of two very loving parents and an older brother. He grew up attending Barrs Mill Church of God, albeit forcibly at times. His family and his experiences as a part of the youth ministry at Barrs Mills were instrumental in showing him the grace and love of God. After falling in love with Christ and feeling called to full-time ministry, he left for Warner University, and through a series of awkward conversations and bold steps, he introduced himself to his future bride in the Warner library. Although they had been in the same class for the previous three months, she had no idea who he was. Persistence and charm paid off, and they eventually fell in love. Deanna was born in Pennsylvania but moved to Florida with her family and two brothers at the age of five because of her parents’ (Barry and Dana Shick) calling to ministry. As a pastor’s kid growing up at Spirit Lake Community Church of God in Winter Haven, Florida, she saw firsthand what it meant to serve God entirely. In high school, at a Church of God youth convention, she felt the call to full-time ministry with a heart and desire for missions. In the years that followed, she participated in trips to Honduras and Jamaica. While in college she also did an internship with Church on the Street in Atlanta, Georgia, and graduated from HEART Missionary Training Institute. After four years at Warner and an internship at First Church of God in Bradenton, Florida, Scott and Deanna graduated from Warner University in 2004 with bachelor’s degrees in church ministry and got married the following weekend. 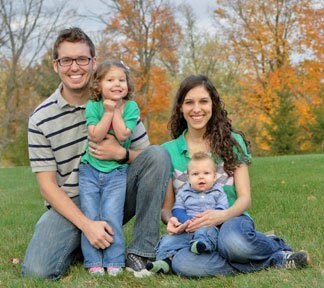 Shortly thereafter, they moved to Mansfield, Ohio, where Scott took a position as youth pastor at First Church of God. During their time in Mansfield, they welcomed their first child into the family in 2008, a daughter named Elliana, and their second in 2010, a son named Ian. It was during this period of new parenthood that Scott and Deanna began to sense a new calling and transition to ministry with underprivileged and sometimes forgotten children and families, and first began to consider working with Global Missions. The Comptons consider themselves a renaissance family and try to maintain a wide range of interests and activities. Deanna is an active photographer, baker, and quilter. Scott is a licensed scuba diver, motorcyclist, mountain biker, and on-again-off-again yo-yoer. Not surprisingly, that’s exactly what happened. Scott and Deanna, along with their two children, have committed to moving to Tanzania to serve with the Safina program, the Children of Promise program in Tanzania. It has always been on their heart to work with those who have very little, especially children, and they feel truly blessed to become a part of the ministry of the Church of God in Africa.